The suit indicates that it was filed on behalf of the plaintiff, UnitedCorp, and was launched on December 6, 2018, in the U.S. District Court for the Southern District of Florida. “We are bringing this suit on behalf of UnitedCorp because we believe strongly in the value and integrity of democratic, distributed and decentralized blockchain networks which will become more important with time. In order to maintain confidence in cryptocurrencies such as Bitcoin Cash, no person or entity can be allowed to control them,” Benoit Laliberte, president of UnitedCorp, stated in a press release. 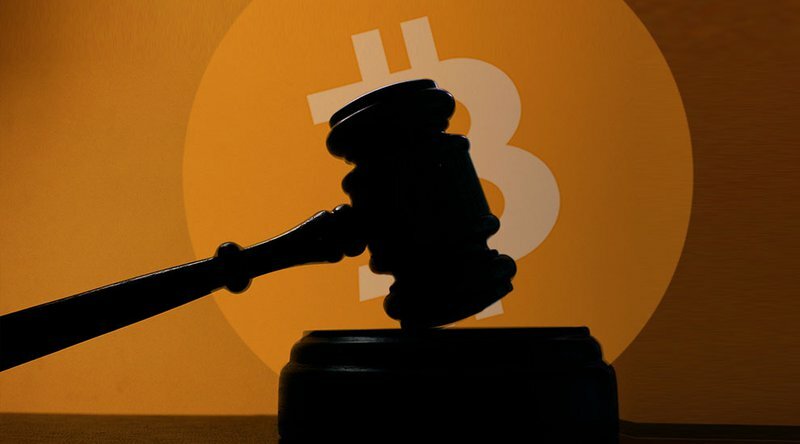 The lawsuit claims that during the recent November 15 Bitcoin Cash split, the defendants acted in unison to hijack the network and force an undemocratic protocol change. Moving on to Bitcoin.com, CEO Roger Ver and communications ambassador Sterlin Lujan, the document highlights some seemingly extraneous yet potentially prejudicial facts about Ver’s life and cryptocurrency career, specifically his political affiliation as a libertarian/anarchist and his alleged involvement in the Silk Road. The document doesn’t make any overt accusations against Ver, only implicating him via his connection to Bitmain and Wu and Bitcoin.com’s mining support for Bitcoin ABC. “Combining this change with the hashing power of Bitcoin ABC backers amounts to centralization. They will be able to override any consensus reached by the rest of the network, forcing others to conform or create an unwanted hard fork,” it states. On its final page, the presentation targets Kraken and its CEO, Jesse Powell, for supporting Bitcoin ABC’s implementation over Bitcoin SV’s and issuing caveats against the latter’s legitimacy. The nucleus of the plaintiff’s argument centers on the allegation that the Bitcoin ABC camp and its supporters manipulated the Bitcoin Cash network during the November hard fork to artificially create a longer chain than Bitcoin SV. Hashpower that was previously employed to mine on the Bitcoin network was one of the camp’s primary tools during the split, and the temporary boost in hashing power let Bitcoin ABC supporters hijack the Bitcoin Cash network, the plaintiff claims. With these claims in mind, the filing charges the defendants with violating the Sherman Act (a federal act that bans monopolistic business dealings), equitable estoppel (a defensive doctrine that one party can invoke when they’ve been coerced into acting a specific way) and negligence, among others. In response to the following charges, the plaintiff is seeking restitution and disgorgement of the defendants’ assets, and it’s also asking that the Bitcoin ABC team be barred from implementing checkpoints on the protocol and for the court to dial back the recent upgrade. While “[returning] the blockchain to its previously decentralized form” is ambiguous, “with the previous consensus rules” seems to imply that the plaintiff is requesting that the court dial back the network to its previous state before the November 15 hard fork. This would require a complete network rollback, so the request is tinged with irony given the plaintiff’s complaints of Bitcoin ABC’s alleged manipulation and centralized practices. At any rate, the lawsuit will only augment the furor that has surrounded the November split. On the eve of the split, Craig S. Wright, Bitcoin SV’s front man, seemed to forecast the coming legal troubles. He tweeted that his side would help any miner in Bitcoin.com or Bitmain’s mining pools “start a long messy class action” if either organization redirected Bitcoin hash power to Bitcoin cash during the split. I’m not sure if there has been a more petty and lame move in the history of Bitcoin. The fact that this lawsuit was filed via a random OTC shell company is… wow! There’s being a loser… and then there’s this. I'm not sure if there has been a more petty and lame move in the history of Bitcoin. The fact that this lawsuit was filed via a random OTC shell company is… wow! There's being a loser… and then there's this. Chris Pacia, an OpenBazaar developer, has echoed Amrani’s sentiments. In a separate tweet, he claims that the lawsuit proves that Ayrehat Calvin Ayre, who owns Bitcoin Cash mining pool and news site CoinGeek, used his mining pool to mine a hidden chain on the Bitcoin ABC network, something that ABC’s checkpoint implementations quashed. “After this lawsuit I’m now certain Calvin was mining a hidden chain to reorg BCH that he had to abandon when the checkpoint was announced,” the tweet reads.